around Peru in 1984, Paul and Judy Rose became enchanted by the elegance, versatility and fascinating character of these quiet, intelligent and gentle animals so little known outside of South America. that it might be fun to have a llama or two, the Roseland herd is now one of the largest and longest established in Europe. the one disadvantage of these lovely animals: you can get well and truly 'hooked'! 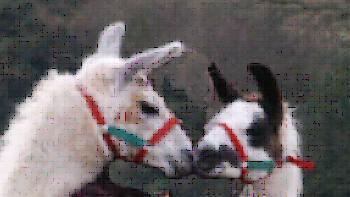 After more than two decades breeding llamas, Paul & Judy have retired and our Devon farm is now closed to new business. Alastair and Moira have been training and trekking llamas for several years, alongside camels, donkeys, mules, & yak... so breeding Roselands is yet another dimension to their amazing enterprise. 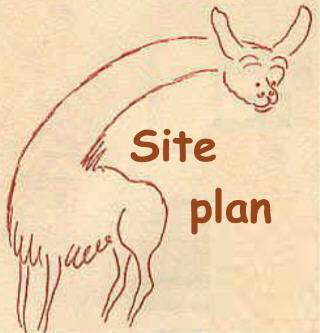 Together with the llamas, their farm offers a must-see visit! Annie Austen, Watertown Llamas, Devon (breeding & sales) who has taken over a large group of beautiful Roseland females and their cria, as well as a stunning young stud male "Roseland Talisman"
Chris and Jo have been training and trekking llamas for many years and have built up a fine group of Roseland trekkers over the years, offering many wonderful treks including along the Jurassic heritage coastline. with their ventures old and new. 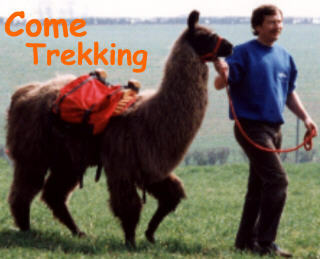 will help kindle the same excitement and interest in llamas that Paul and Judy experienced when they first encountered them in the Andes: also that they will answer many of your questions and encourage yet more! 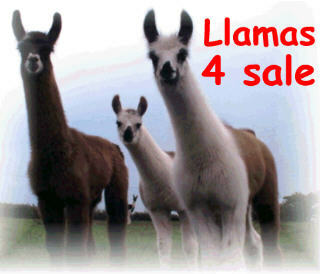 that you might like to own a llama or two ~ or twenty-two ~ then we hope very much to welcome you as Roseland owners. "Llamas - enriching the landscape with living art"
�The written content and photos on this website are the copyright of Roseland Llamas. b) We are informed of the use: click here to contact us.